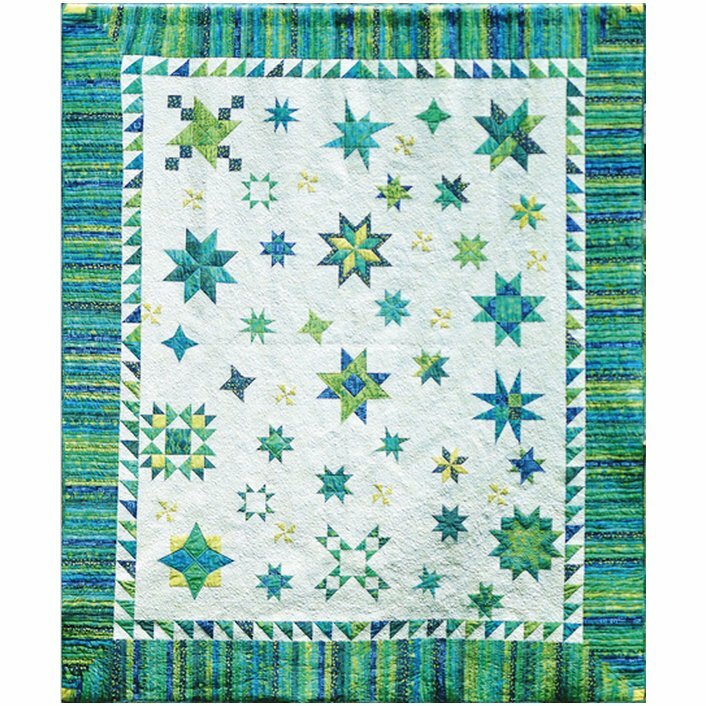 Block of the Month quilt featuring batiks in cool color tones. Please call us if interested in participating; we can mail as full kit or send installments monthly. Please let us know what you what you'd like.